Football and cricket first started being played in the area where Bellerive Oval is now in the mid-to-late 19th century. In 1884 the first football match on record from the area was played between Carlton and Bellerive. In 1913 the piece of land located between the now Beach, Church and Derwent streets was sold to the Clarence council. One year later, the new Bellerive recreation ground was ready for use. On June 7th, 2011, North Melbourne announced that it had struck a three year deal to play 2 games a year at Bellerive Oval. 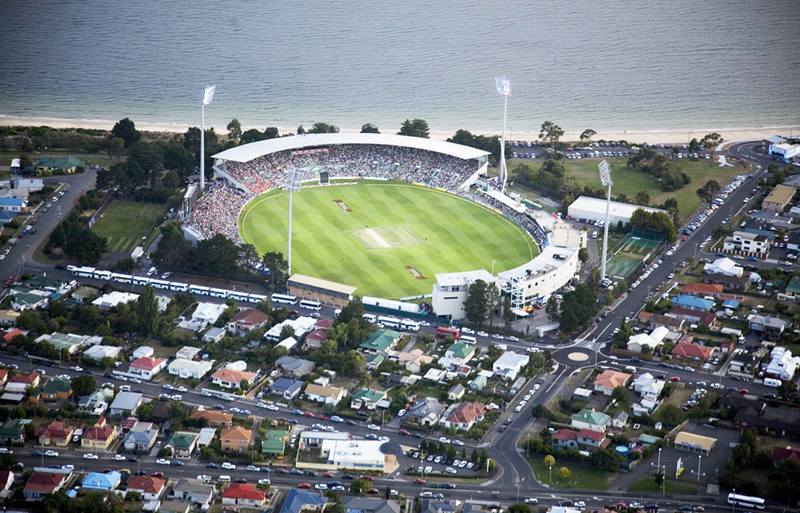 Negotiations brokered by the state government included talks with the Hobart Chamber of Commerce, the Hobart City Council, AFL Tasmania and Tasmanian cricket authorities who run the venue. In 2014, the deal was renewed again for a further 2 years – but with 3 games a season, bringing it into line with Hawthorns deal at Aurora Stadium. The total cost of the deal was $600,000 to Tasmania – but covered by sponsorship from Hobart City Council, and the Government owned TT-Lines. Hobart City Council announced it would not continue the sponsorship beyond 2016, but it was expected that TTlines would pick up the shortfall. In 2016, the deal was renewed again, for another 5 years and 3 games a season. TTLines will be the sole backer. The amount has not been revealed.